I Want to Hire a Property Manager. Show me information on Pricing and Free Rental Analysis. Want to Search Rentals in St George? Show me information on Available St George Utah Rentals. Customized solutions for your St George Utah property management needs. Forget the headache of collecting rent each month. Allow us to follow up with tenants, collect and process incoming payments, and quickly disburse your earnings. We are #1 in the Utah rental market for our collection solutions in property management St George Utah. Property marketing is perhaps the single most important step in locating a great tenant. This is one of our specialties. We use a powerful combination of property management St George Utah advertising to connect your Utah property with the best local renters. Bad tenants cause endless stress and drama. While good tenants will make your Utah rental property the perfect investment. Our property management St George Utah tenant screening process weeds out the bad apples before they have a chance to move into your property. Easily track your income and property expenses with our detailed Property Management St George Utah financial reporting. We produce monthly statements for your Utah rental property. For your convenience we also provide easy access where you can log in to our 24/7 account portal. Never waste another weekend or evening handling maintenance emergencies or chores. Let us take care of the property management St George Utah challenges for you, keeping tenants happy & your property protected as well as kept in perfect condition. There are no two ways around it: evictions are unpleasant. Don't find yourself fighting this battle solo. If an eviction becomes necessary, not only can we guide you through the process, but we will take all the necessary steps to help with this Utah property management process. It's only natural to worry about your Utah rental property, but with our property management St George Utah inspections, you'll never have reason for concern. We monitor your property to ensure there are not only no problems, but also to prevent possible future issues. We know and understand the responsibilities imposed by the Utah tenant-landlord laws. Don't find yourself in a sticky legal situation. Instead, entrust us, the property management St George Utah experts to reduce your legal liability in the Southern Utah rental market. "We are the alternative to the stereotype of property management companies in St George Utah? We put reputation & Service before money and this is why we lifelong clients and unmatched growth—you won't want to go anywhere else." 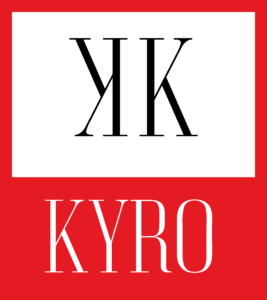 Learn why Kyro is the best choice for property management in St George Utah. You shouldn't have to wonder what's going on with your property. At Kyro, our team is always available to take your call, keep you informed, and answer questions for your investment property. As a landlord, it's your responsibility to stay abreast of the latest changes in Utah's tenant laws, as well as local ordinances and regulations that govern your rental home. At Kyro Property Management we are frequently trained and then monitor these trends for property management in St George Utah, and keep you compliant. The Kyro team is THE best property management in St George Utah by committing to the best customer service around. Whether you need help or your tenants are requesting service, our team is eager to jump into action. Many property management companies in St George Utah get a bad rap for hitting their clients with hidden fees and extra costs each month. We don't play that game—we work to keep you profitable, all while remaining completely transparent with you. You'll never receive unexpected invoices or bills with Kyro. "There are few times in life where one can experience more stress than renting a property. Kyro and Matt McDermott really go above and beyond to make this process as stress free as possible." "I've done business with a competing property management company in St George and had a REALLY terrible experience. Most PM companies simply don't care about anything but their commission, but Matt & Kyro treat properties as their own." Learn how much rent you should earn. Find our how to boost your monthly income. Discover our unique management approach. We know southern Utah. Voted #1 for property management St George Utah. Choosing the right property management St George Utah team for your rental property can be a challenging and daunting process. You're not only looking for an affordable partner, but you also need someone who will protect your reputation, maintain your property, and most importantly, make you money each month. Our goal is to be the best property management company in Southern Utah and to make you the most on your investment. Don't be tempted by low ball offers from industry amateurs and deal with the frustrations —instead, choose a firm with your best interests at heart. Contact us today for a free quote and for all your property management St George Utah needs. At Kyro Property Management, we aim to offer the very best property management in St. George, Utah and provide you with the highest return. We're an independent firm with a talented team of property professionals. We call St. George Utah home, and we keep a close eye on local market trends and rental values, as well as the best upcoming investment properties. Here at Kyro we will not treat you like just another person in the crowd, but we'll work to provide you with the service you deserve. Isn't it time to experience a better property management service? Let us be your property management alternative. Share your property needs with our team.